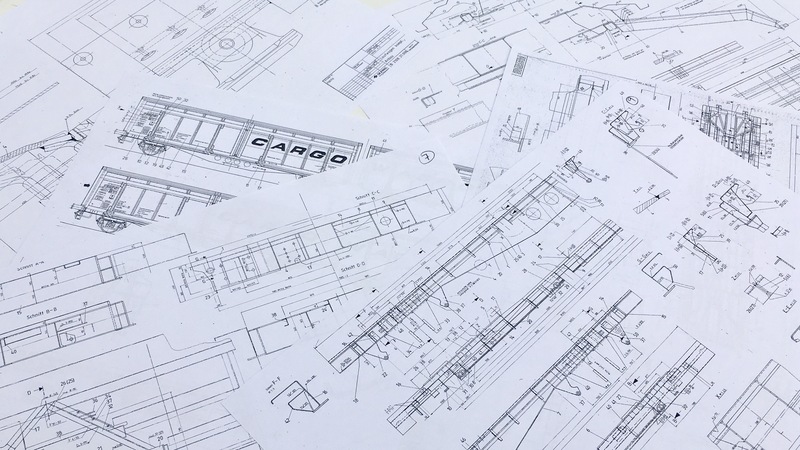 Revised CADs for Twins – let there be lights! 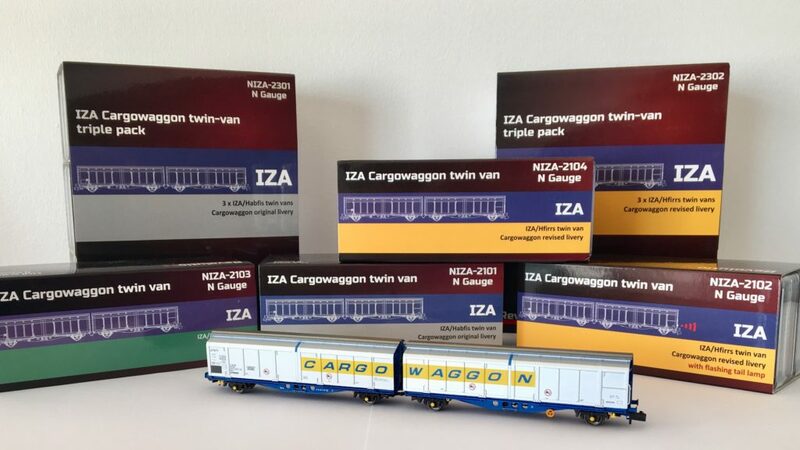 Revolution has received revised CADs for the forthcoming IZA Cargowaggon twin vans, and now the version with flashing tail lamp has also been included. The main correction was adding the distinctive holes in the angled frames on each end, and this has been done too. 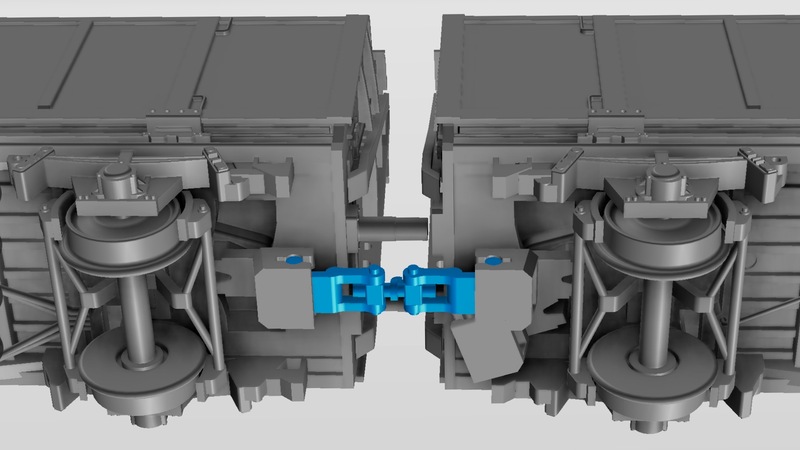 Also, the models now correctly have the parking brake wheel on one of the pair only. 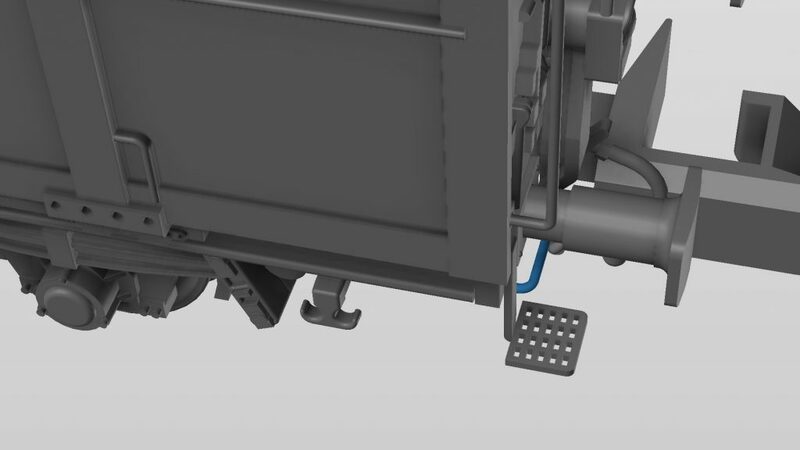 Other minor corrections include the addition of the small corner footstep and grab handles below the buffers, as well as an improved centre coupler. 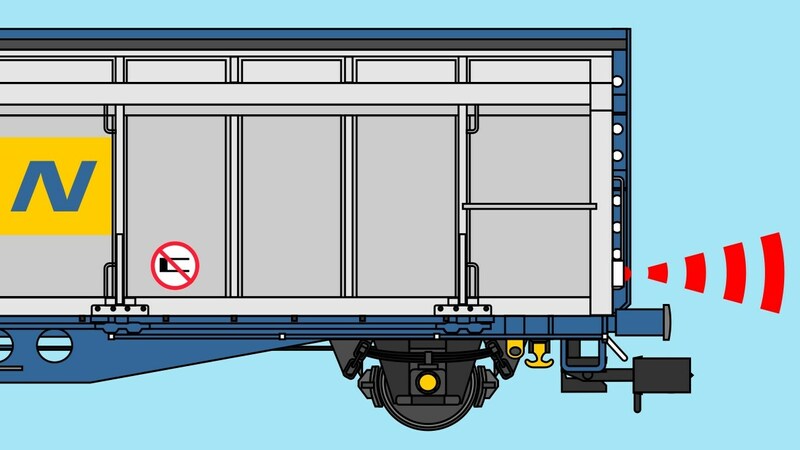 But the main event is that the model now has provision for the working flashing tail lamp option. 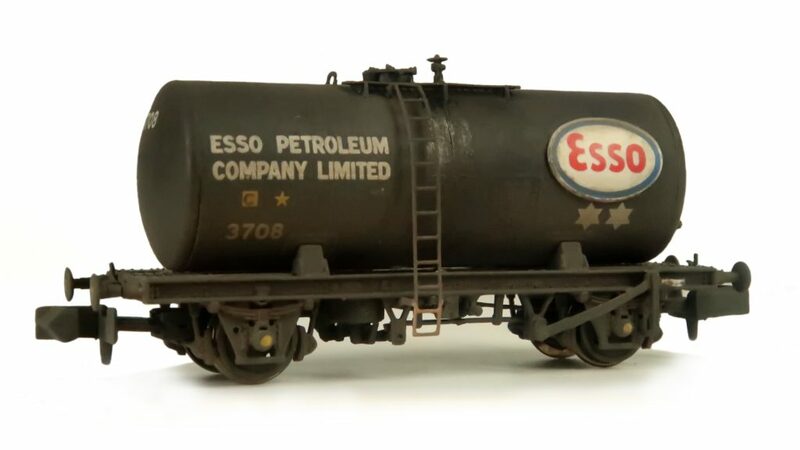 The lamp is a plastic moulding, while the lens protrudes from inside the wagon where the PCB with battery holder, LED and flashing control circuits is placed. 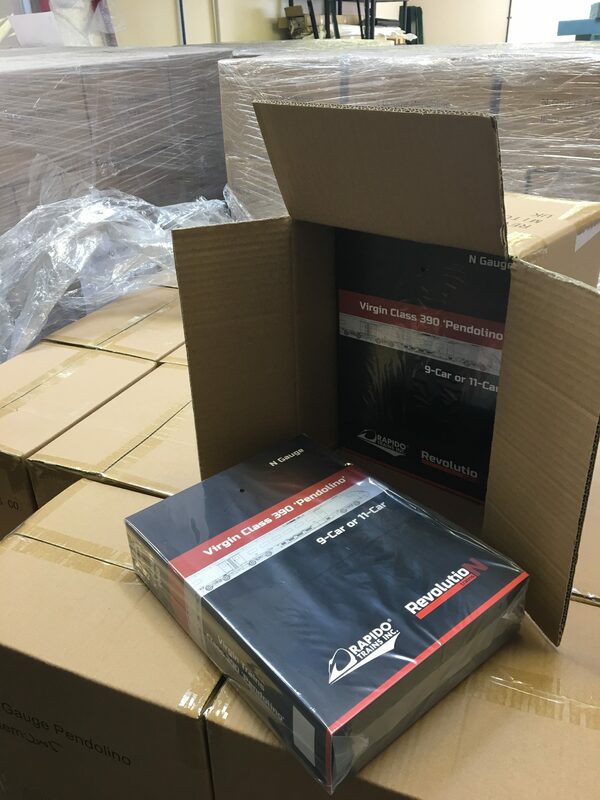 Both standard versions and flashing tail lamp versions can be reserved and as ever we will only produce enough models to supply those who order before the deadline. 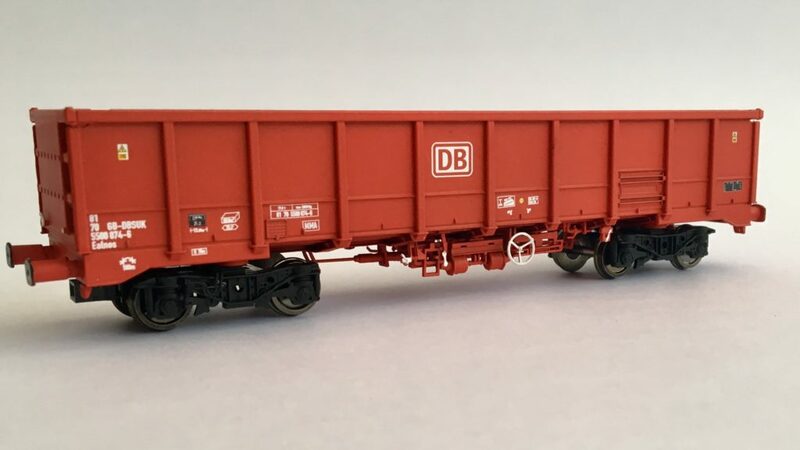 Revolution Trains is offering the ubiquitous Cargowaggon twin ferry van as its next RTR model in British N-gauge 1:148 scale. IZA twin 27 80 2794 008-3 at Hoo Junction December 1986. Courtesy Paul Bartlett. 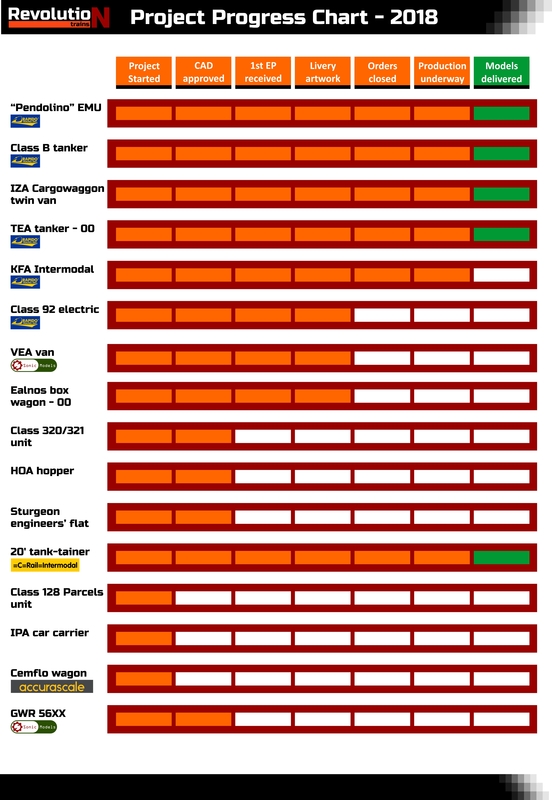 100 twin sets were built by Duewag of Germany for Cargowaggon in 1986, and the vast majority remain in service. 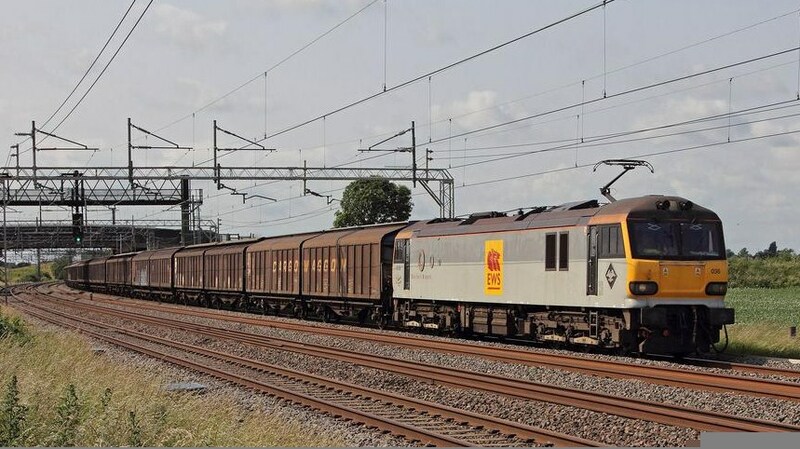 92036 “Bertolt Brecht” with a rake of IZAs carrying mineral water at Soulbury in 2013.Courtesy Andrew Chambers. Coded IZA under TOPS, under the continental UIC system they were initially designated Habbfis, though this was later changed to Hfirrs 3. Their success led to further builds of 50 pairs each in 1989 and 1991. 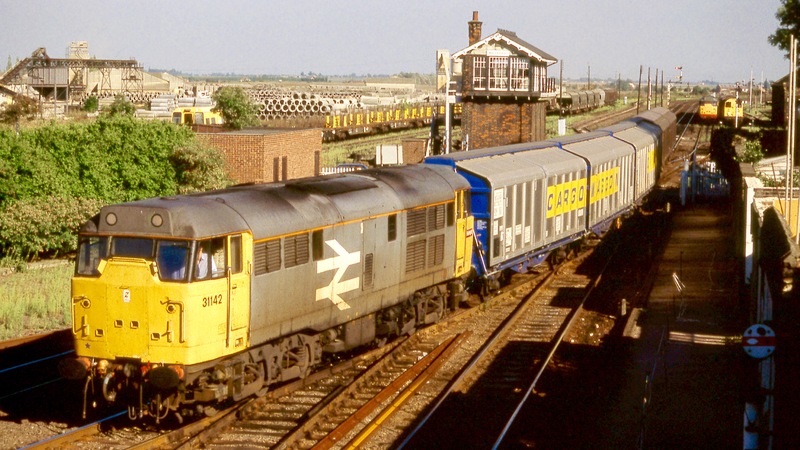 A pair of IZA twin vans and two bogie vans behind 31142 on a Norwich-Whitemoor train at March in 1989. Courtesy Mick Page. 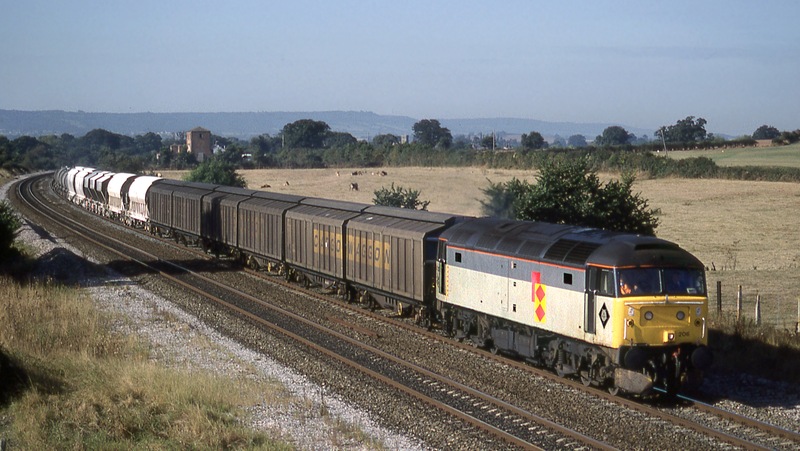 47200 with three Cargowaggon twin sets immediately behind carrying cider between Exeter and Mossend, 1992. Courtesy Mick Page. 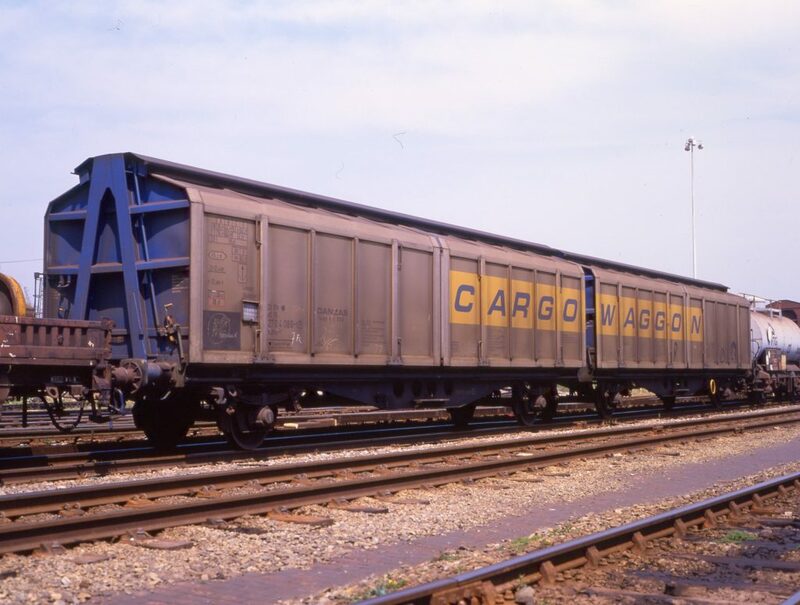 When introduced, the majority carried Cargowaggon branding, though a small number of sets carried the Perrier logo as they were used on mineral water traffic from central and southern France to Britain. 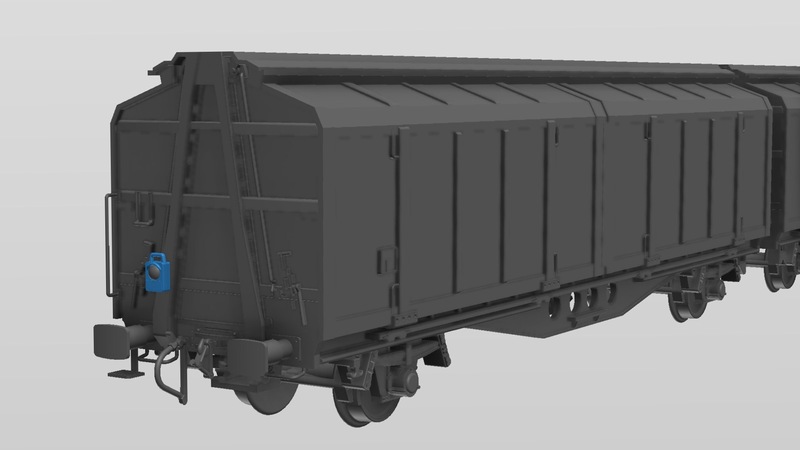 We will be offering both liveries, along with the slightly revised Cargowaggon livery brought in later, when the wagons were given modified lettering and the ferry hooks and axleboxes were painted yellow. 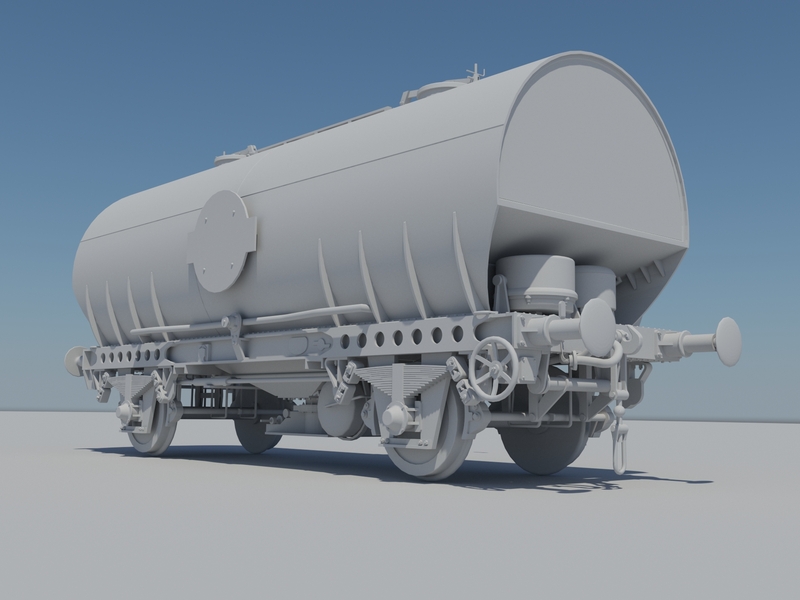 We are working with Touax, the present owners of these wagons, to ensure our model is as accurate as possible and we would like to thank them for all their assistance in drawings and site visits. 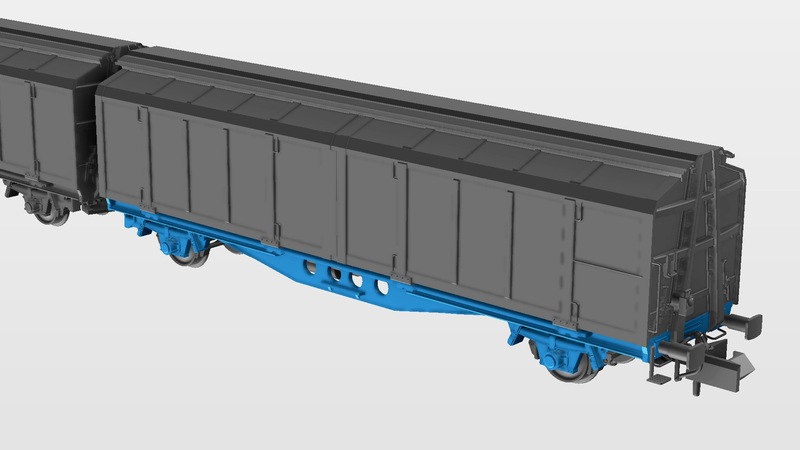 Our model will feature expected levels of fidelity and detail, with injection-moulded plastic bodies, separately fitted detail parts and handrails, kinematic NEM couplers on the outer ends and a inner coupler ensuring the wagons are a scale distance apart. We are also offering one pack with a factory fitted, battery powered flashing tail lamp at one end, for additional authenticity and realism. Look out for the flashing tail light option! 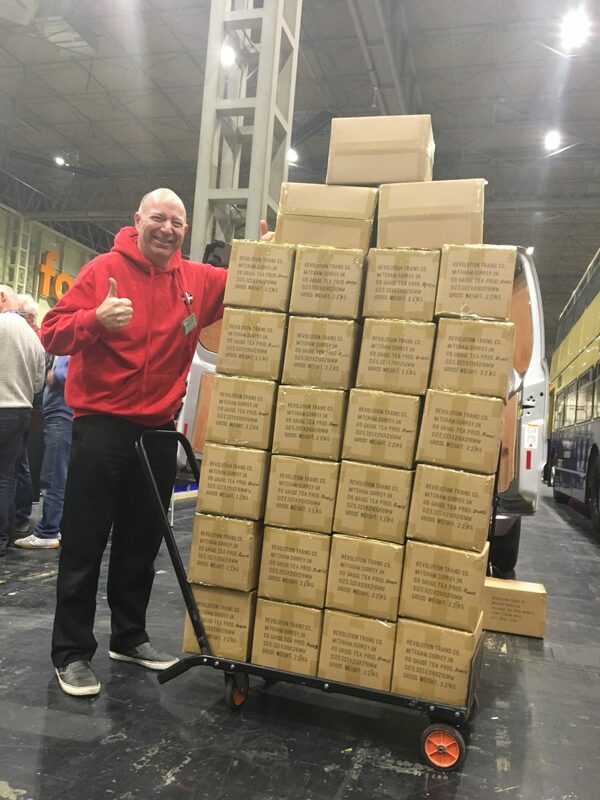 The models are priced at £36 for each twin, £108 for a triple pack with different numbers and £40 for the twin fitted with a flashing tail lamp. 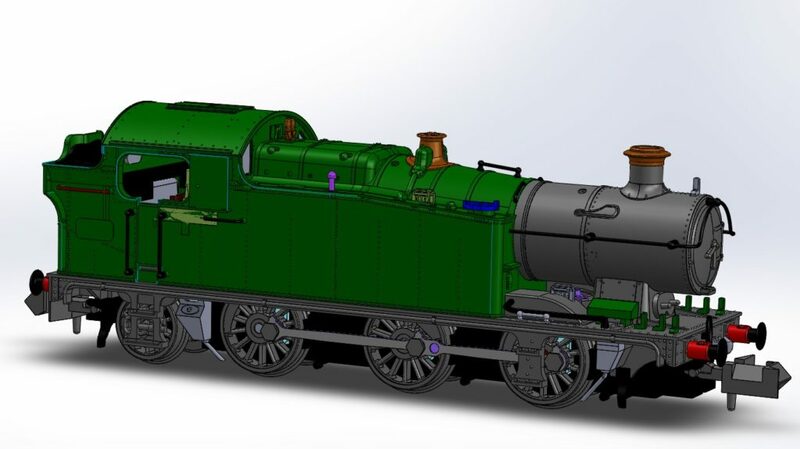 Once we have enough pre-orders we will authorise tooling to begin and, as ever, we will only produce enough models to satisfy pre-orders.